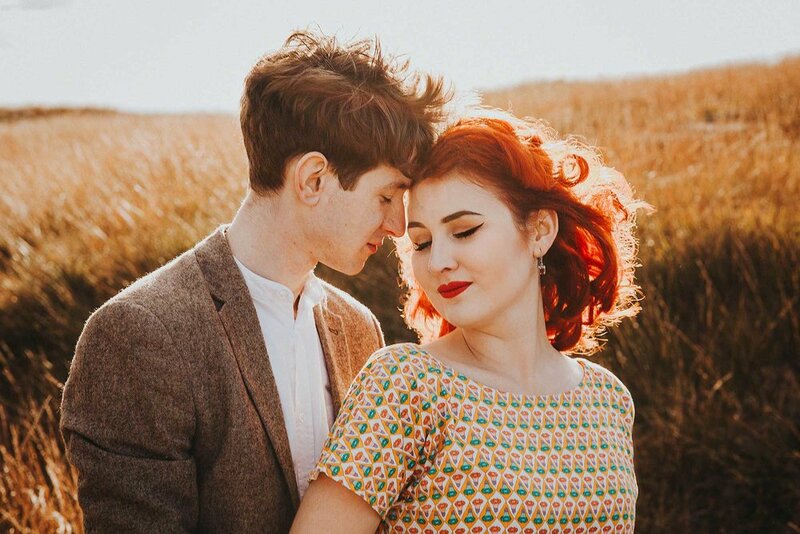 Cat & Mikey's engagement session took place one sunny (but very cold!) October day on the moors in West Yorkshire. I had the absolute pleasure of photographing their wedding at Gibson Mill in Hebden Bridge which was such a super & relaxed day. You can see a link to their wedding photos at the bottom of the page. 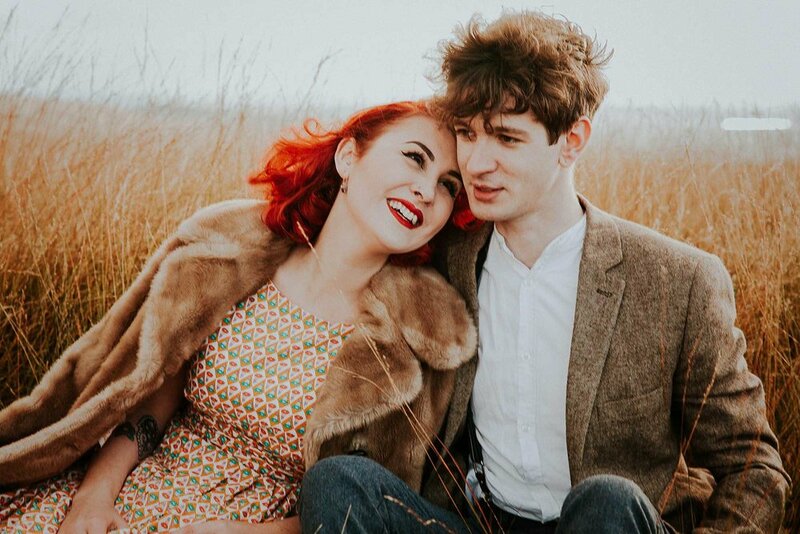 Cat & Mikey are a relaxed couple with a love for all things quirky and vintage. 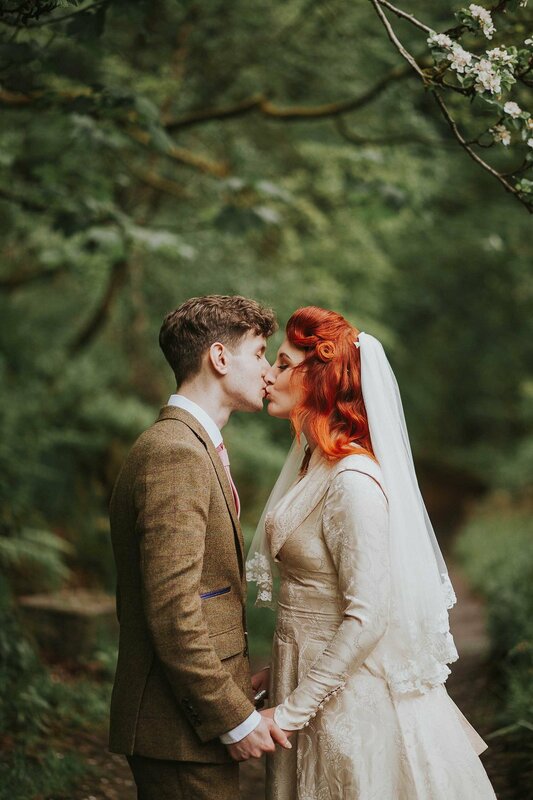 I am absolutely in love with Cat's hair which matches the autumnal colours of the moors perfectly, & both her and Mikey's vintage inspired outfits! 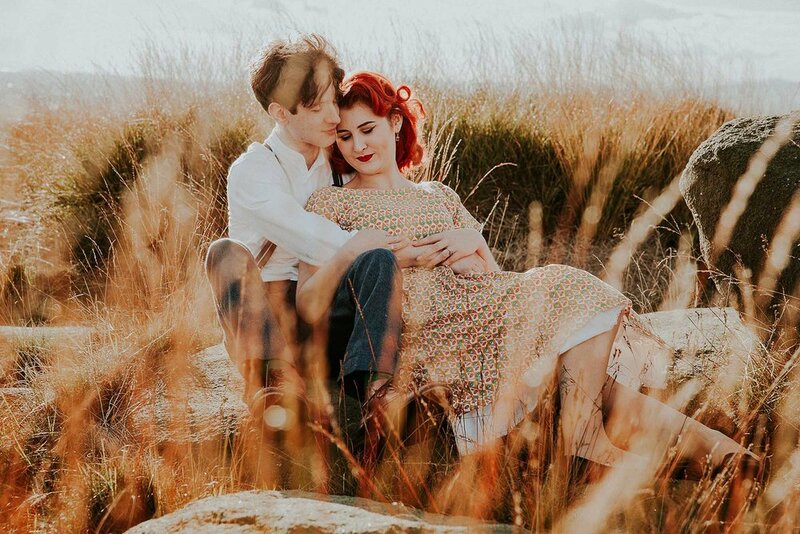 I have done a few moorland engagement sessions now and I highly recommend them as an outdoor engagement photography location. 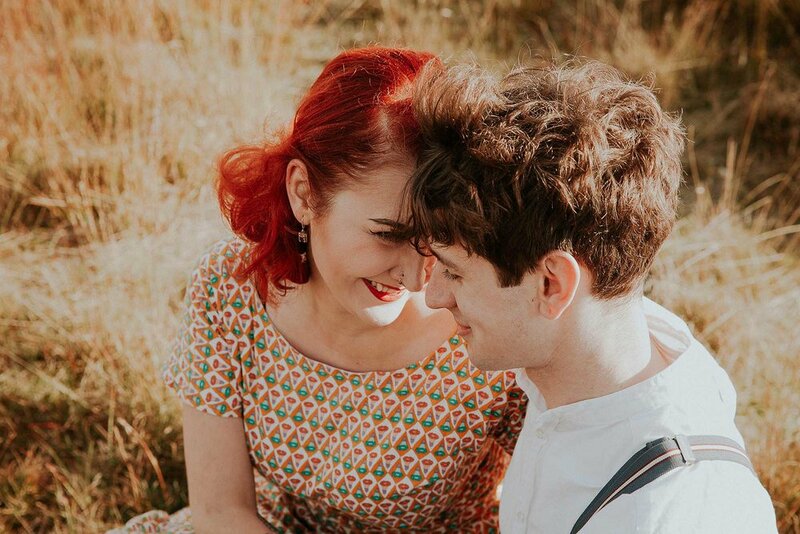 There is usually hardly anyone about, which is perfect for couples who are a bit nervous about having their photo taken, and it's a great location to bring your dog! Always a bonus. 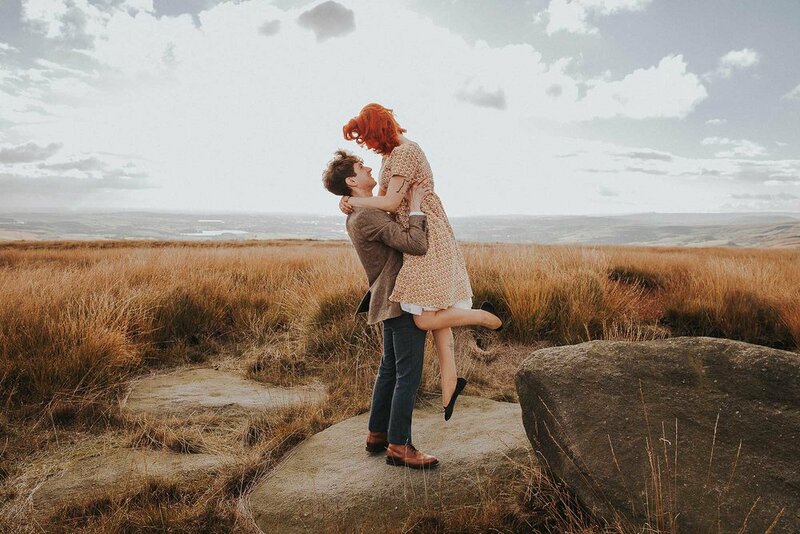 You can see more moorland engagement sessions at the bottom of the page. 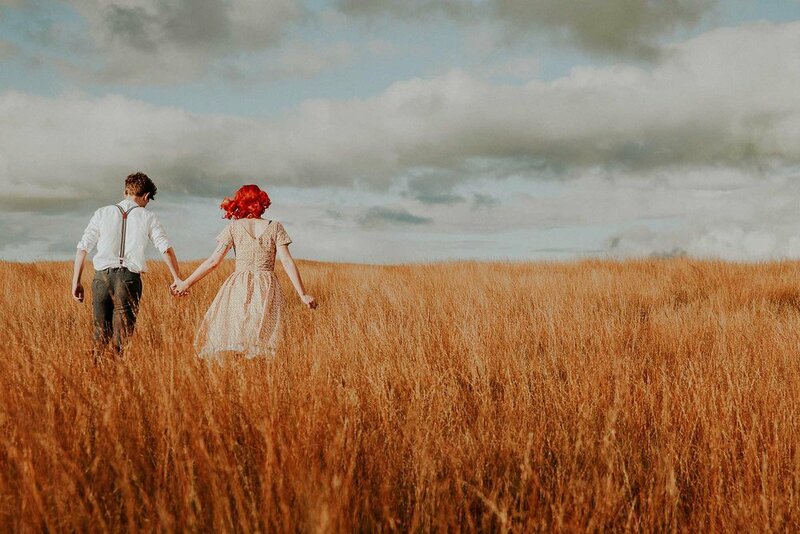 Thinking of booking an engagement session? Or just a couple's session, there doesn't have to be a particular occasion! Get in touch!